Information slides allow you to introduce new concepts to your students and will usually form an integral part of a Smart Lesson. This article focuses on the Express Editor. If you have received training from Education Perfect and would like to use the older Advanced Editor, please refer to this guide. 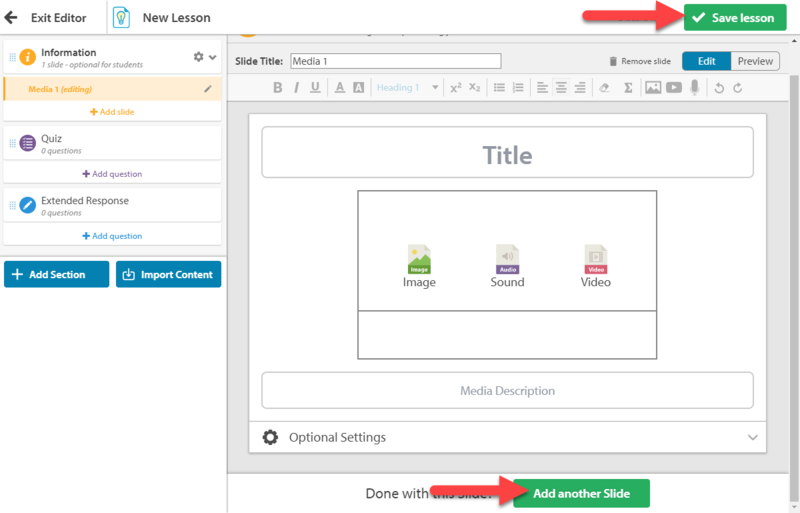 Begin in your Content Library, and ensure that you are in Edit mode by clicking the Edit button on the top right. 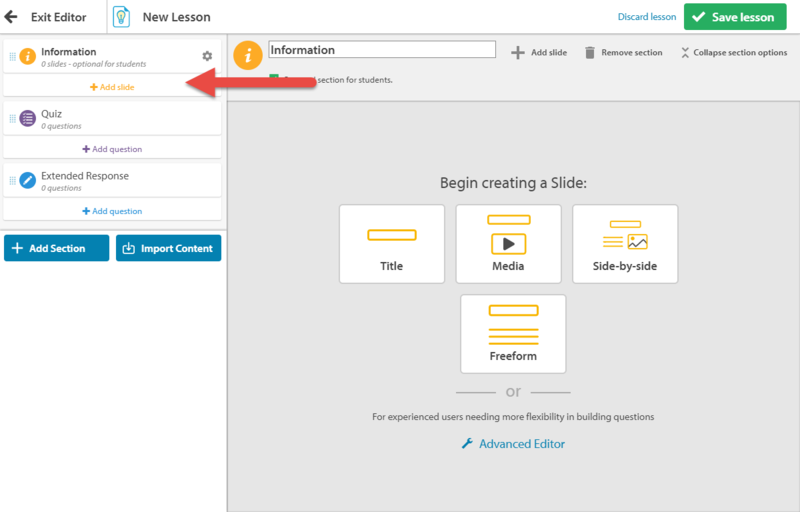 Click Add Content and then select Smart Lesson. On the screen that appears, select Information. Click into the Title text box and type your title. Then, do the same for the subtitle. When you're ready, select Add Another Slide. 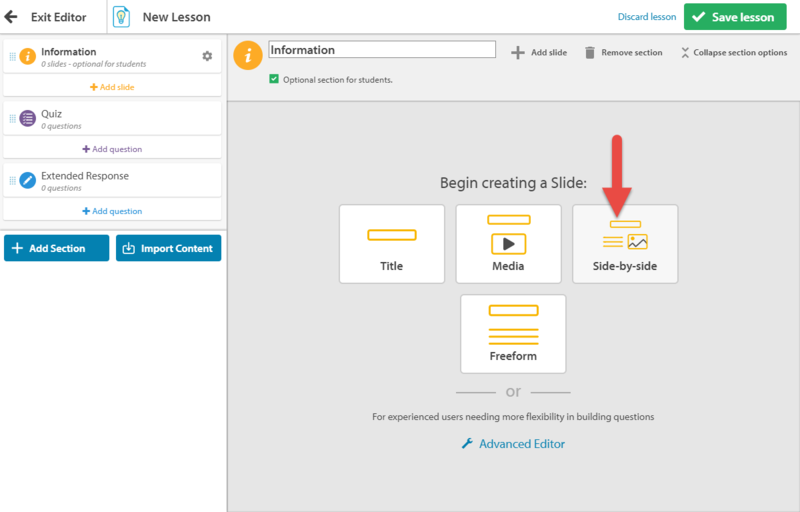 Media information slides combine a title with either an image, a sound or a video and are a great way to introduce audiovisual components to your lessons. Select Media from the available templates. Type your chosen Title in the Title textbox, and choose which type of media you would like to include. For more information on adding media to lessons, refer to this article. 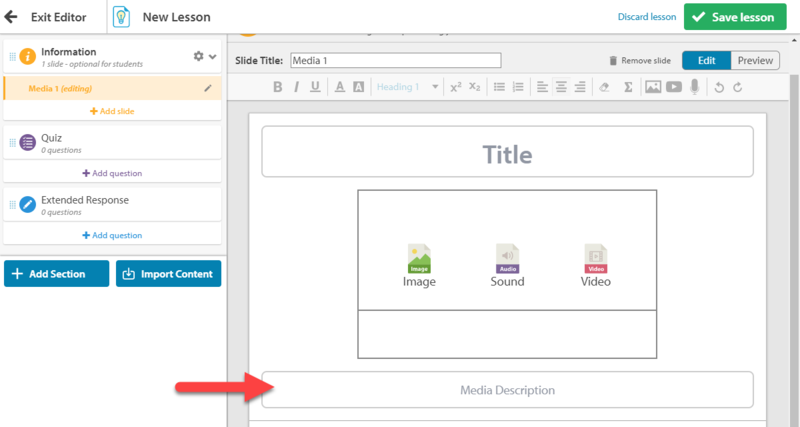 Once you've selected media, add a Media Description. 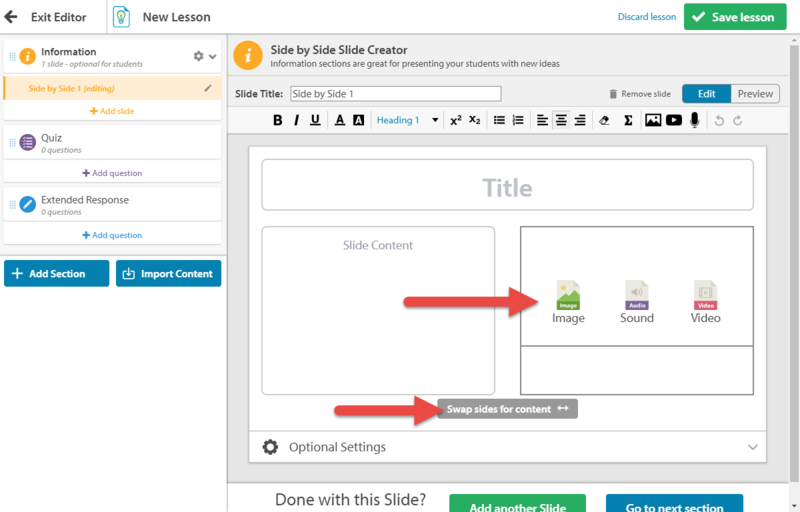 When you're happy with the slide, choose Add Another Slide or Save Lesson. 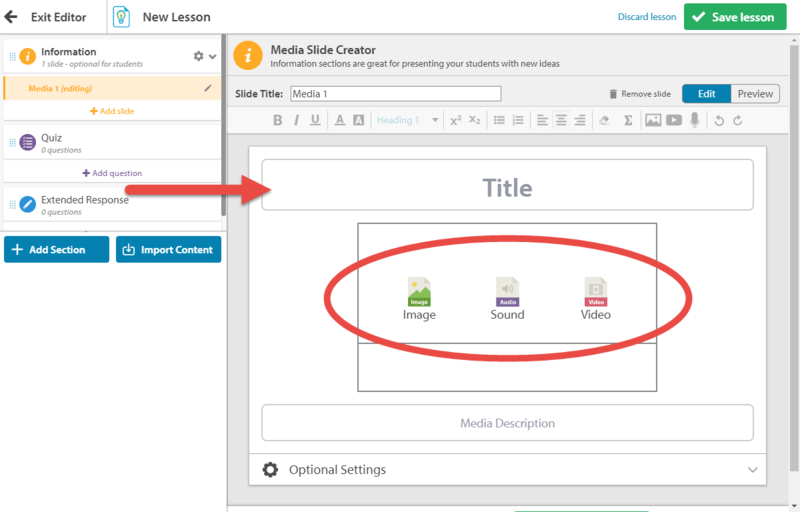 The side-by side template allows for a text-based title and media integration. 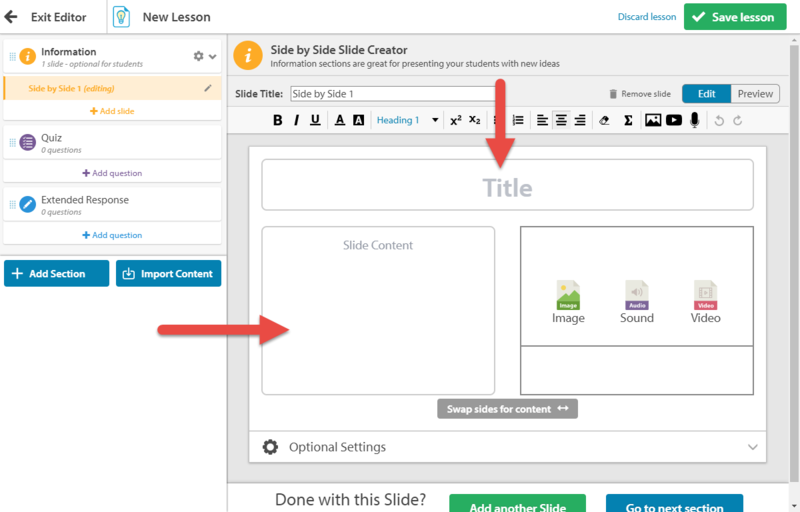 Begin to customise your side-by-side information slide by giving the slide a title. 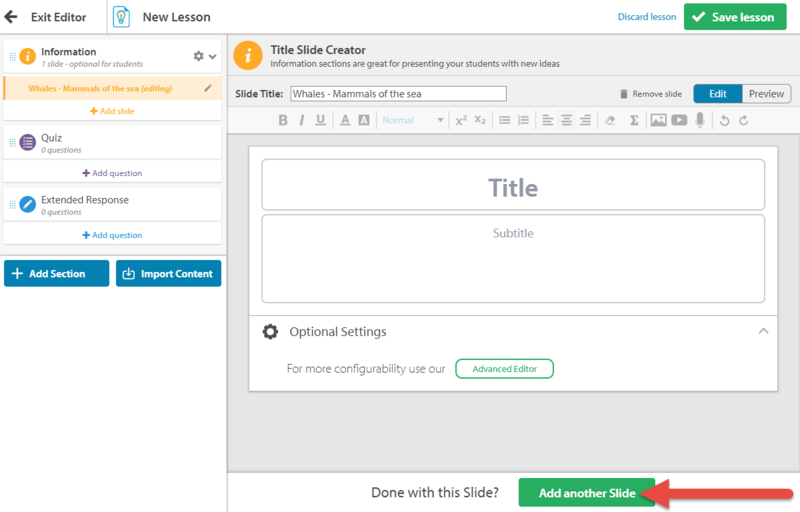 Next, add text into the Slide Content box. Then add media to your slide following the same steps as above. You're also able to swap which side the media is on, by clicking the Swap Sides for Content button. 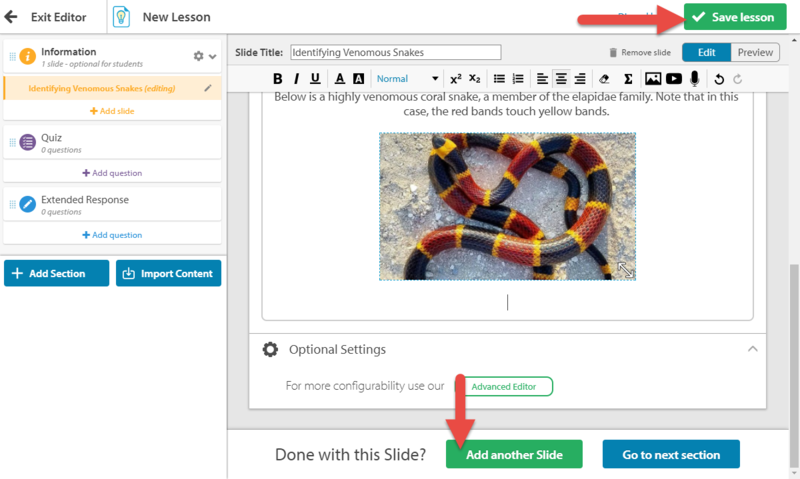 Choose to Add Another Slide or Save Lesson. This type of slide does not have a predefined format, allowing you to place content as you wish. 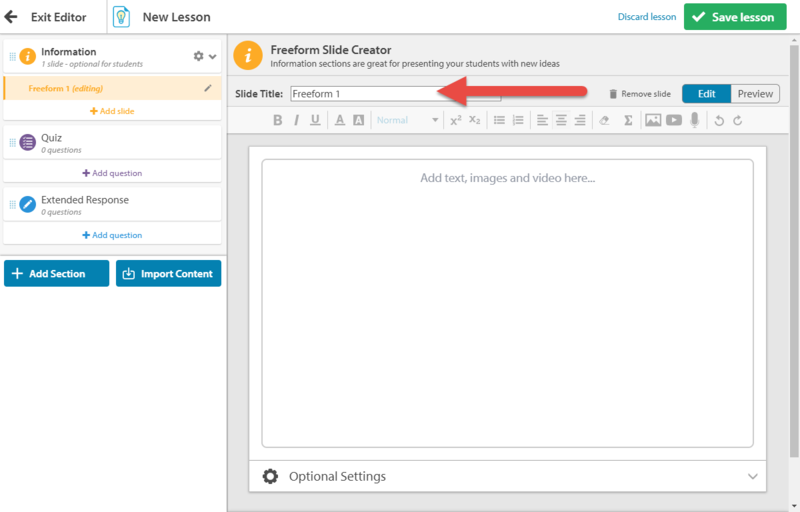 To create a freeform slide, click on the Freeform option when selecting your slide template. Editing the slide's title in a Freeform slide is different to the other slide types, as the title is no longer a text box within the slide. 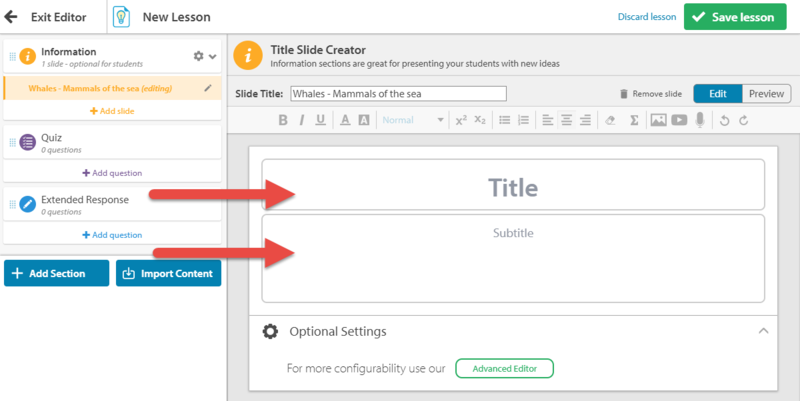 Instead, customise the title by clicking into the Slide Title box, above the slide. 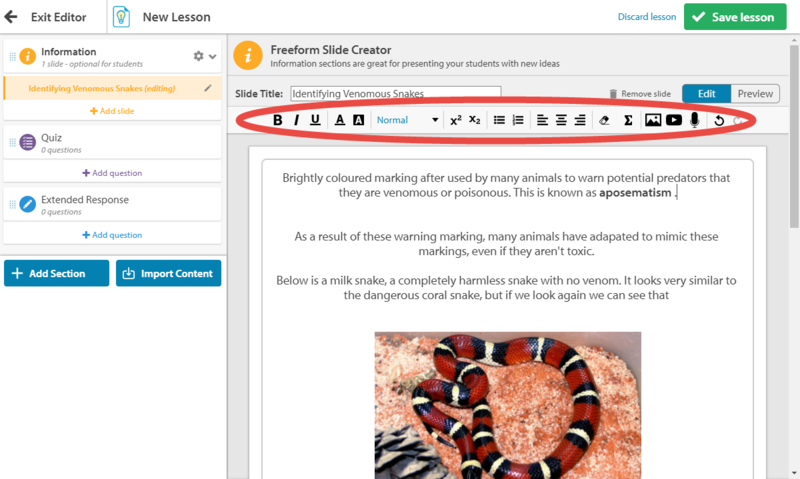 Creating and editing the slide's content works very similarly to word processing software. Use the toolbar to customise fonts, align text, embed media, and more. 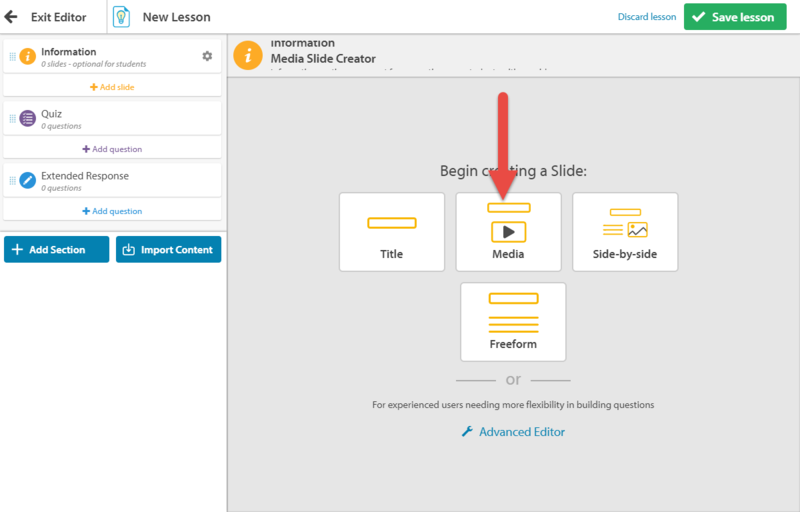 Click on Add Another Slide or Save Lesson.